Flooding could also hit some parts of the country on Friday as tides rise. 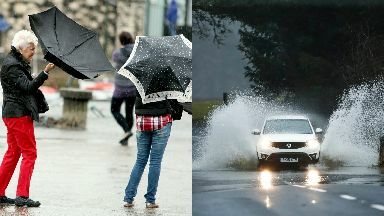 Scotland is braced for 80mph winds and flooding as stormy weather hits the country. Gales are expected to gather pace across the Hebrides during the night with warnings in place on Friday. The north and north-west of Scotland could face 80mph winds in their most exposed areas. On the west coast and in the Hebrides, speeds may reach 70mph, while later in the day the Central Belt could see 50mph winds. 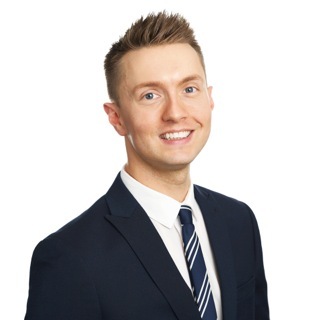 There could also be minor flooding in parts of the country, STV weather presenter Sean Batty warned. He said: "On Thursday afternoon the system is sitting about 100 miles west of Ireland. "At night, this will swing into the north-west with gales developing across the Hebrides. "The winds will continue to pick up through Friday morning with wind gusts in the north and north-west potentially reaching 80mph in the most exposed areas. "Elsewhere, winds will gust 50-60mph, although 70mph could still be experienced on the west coast, Inner Hebrides and hills. "The wind may funnel through the Central Belt for a time on Friday, especially during the afternoon, which could give gusts of 40-50mph." Sean expects large waves along the west coast of Scotland and around the islands on Friday, warning that water could spray over sea walls. He said: "There's a new moon on Friday and this means we are entering a period of spring tides, which are higher than normal. "This combined with the strong winds means there is likely to be some large waves, especially along the west coast and around the islands, which could lead to spray and waves overtopping sea walls. "This could lead to minor coastal flooding issues, with the Western Isles, Orkney, Argyll, Ayrshire and Dumfries and Galloway coasts at risk. "People should stay well back from seafronts during this period of windy weather." The Met Office has issued a yellow warning over the risk of large waves, transport disruption and the possibility of power cuts. As well as the strong winds on Friday, there will be frequent blustery showers, which will turn thundery in some areas. Snow is expected to fall above around 300m. The weather will turn quieter into the weekend with mainly settled conditions by Sunday, but it will also turn colder.